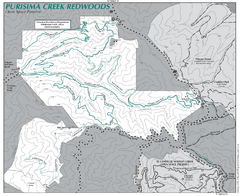 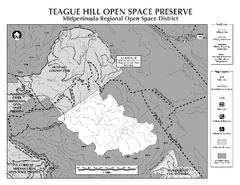 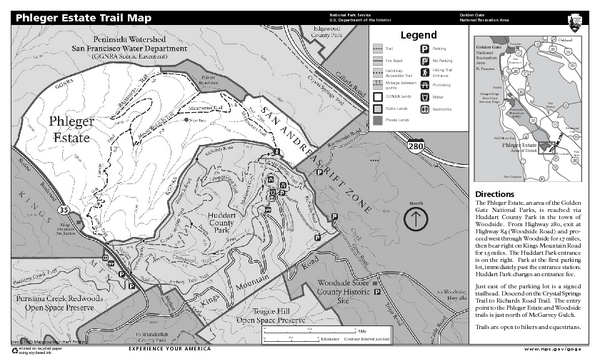 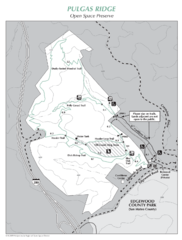 Trail map of Phleger Estate, part of the Golden Gate National Recreation Area, in Woodside, California. 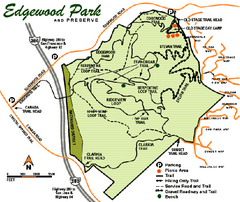 Also shows trails in adjacent Huddart Park. 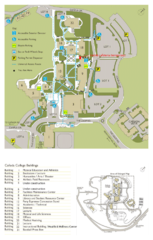 Campus map of Cañada College, Redwood City, CA. 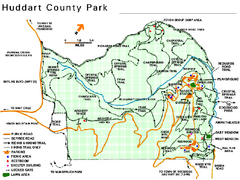 Shows buildings.